New at Archer Airguns are two seal kits for Crosman air pistols. The "2X" Seal Kit for Crosman 1377 and 1322 Air Pistols comprises TWO SETS of the seals most commonly required to reseal a Crosman 1377 or 1322-type air pistol. 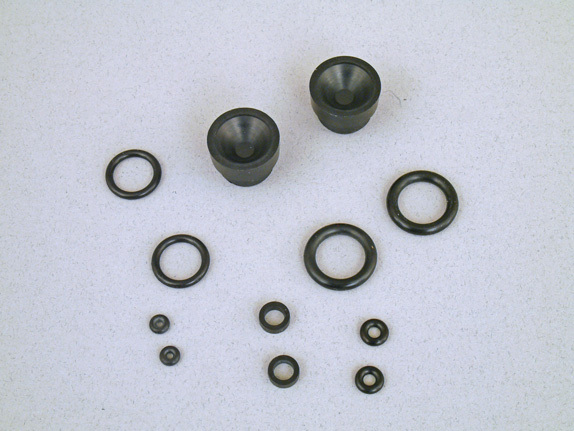 This kit includes includes original Crosman factory parts such as the pump cup/seal and breech seal, together with valve O rings and bolt probe O rings for both .177 and .22 caliber versions. 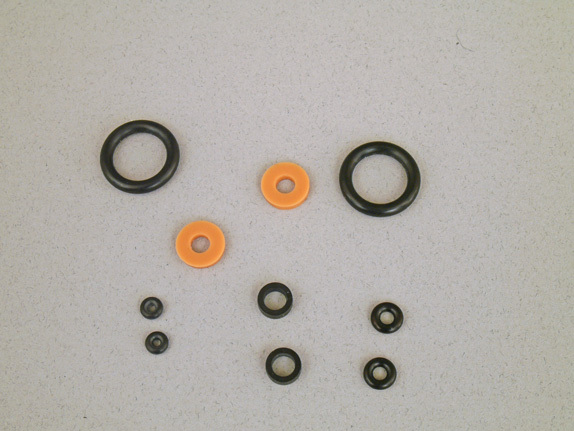 These are the seals most likely to be needed for a reseal of these pump air pistols and this kit provides you with two sets of the parts. A spare set is useful either for backup, "just in case", or maybe you have Crosman pump air pistols already in both calibers! This seal kit fits many Crosman pump airguns, including the following models: 1377, 1322, 1377C American Classic, PC77 Pumpmaster Classic and Backpacker Bugout Kit. Also new is the Archer Airguns "2X" Seal Kit for Crosman 1740 and 2240 Air Pistols. This kit also includes TWO SETS of the seals most commonly required to reseal the popular Crosman 1740 and 2240-type air pistols. This kit also includes bolt probe O rings for both .177 and .22 caliber versions. It provides parts to reseal many Crosman CO2-powered air pistols, including the 1740, 2240, Outdoorsman Carbine, 2250, 2300S and 2300T.